Southern Fence Company Does it All. Since 2012, Southern Fence Company has provided smart solutions for the fencing needs of home and business owners. We specialize in vinyl, wood, chain link, aluminum and iron fence installations, removals, repairs and gating. We are your go-to source for all residential and commercial fencing projects. At Southern Fence Company, we know you want more than fencing from your contractor. You want value, service and reliability. That’s exactly what we offer. Our experienced technicians are equipped with the knowledge and skills needed to complete your project on time and on budget. Plus, we are committed to the delivery of friendly, reliable service throughout your project. Our specialties include the repair, installation and removal of wood, vinyl, chain link, aluminum and iron fences. We also install and maintain gates and gate access control systems. 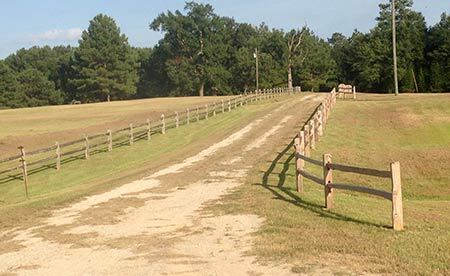 With extensive experience and a commitment to quality, it’s easy to see why we are the leading fence company in Laurel, MS.
We are locally owned and operated, with over 10 years of experience. Our expertise includes all types of commercial and residential fencing. We provide professional services for installations, removals and repairs of fences and gates. Customers are our #1 priority and we strive for complete customer satisfaction. Contact the experts at Southern Fence Company today to create the safe, stylish and affordable fencing you desire.